So how come this section hasn't been closed yet? I notice it's been open many more months than the others. Of course, why close them at all? Also, is there some rationale as to which of the listening threads you should use when? Obviously this one for any blues. The other one adds "today" on the end of the title. However, I have often posted something I listened to the day before, and no-one has complained. And Reblem can only place his weekly posts here, looks like. If he's got something big today he can go over there. What about the capitalization of the word you? It's like there is one thread for "you" and one thread for "YOU". The latter one is shouted out, so it's like a second call for people that didn't notice this one. It's kind of a second class thread for those who aren't properly paying attention. The low rent district of classical music listeners. Can you let me know when I'm ready to play with the big boys over here? Trio for piano, violin and cello in D minor. 3 works for two pianos: valse carnavalesque, pas des cymbales, danse paienne. The Mendelssohn-Hensel Trio, composed in 1846, makes you wonder if this woman might not have become no less "great" a composer as the other great Romantic composers had she not be raised in such a conservative family. Corlyss wrote: 1) It was started by a member, not a moderator; and 2) look at the number of views and posts it's garnered. I have been moving it foward to each new board every time we've had to close the old ones and open new ones. Henry wrote: Also, is there some rationale as to which of the listening threads you should use when? Obviously this one for any blues. The other one adds "today" on the end of the title. However, I have often posted something I listened to the day before, and no-one has complained. And Reblem can only place his weekly posts here, looks like. If he's got something big today he can go over there. In whichever thread ya want to. Yer thinking about this too hard, Henry. Pick whichever one you want to enliven. There's no meaningful difference except what I noted above. Lance likes to use caps and other attention-getting devices because that's how he talks as well, in emphatics. He is very interested in YOUR opinion. He knows what he thinks, but what do YOU think. He wants this to be a pleasant experience for members and he wants everyone to share their ideas and opinions. So he speaks directly to you, the reader, with that call to post. We value you all. Honest we do. There's no "low-rent" district of musical have nots. Everyone should feel comfortable in talking about their passions, what turns them on. If it's Beethoven's 9th and only 2 billion other people are turned on by the Ode to Joy, that's just fine and just as valid as, say, a passion for Jordi Savall's more esoteric gamba music from 17th century France. Posting here is all about what turns you on, singly and collectively. We do like to segregate the Classical from the non-classical, but that's a small distinction easily accommodated by the two boards. 1. Bach, J.S. : Six Sonatas, S. 525-530 (1'18:01)--Kay Johannsen, organ. hanssler CD, Vol. 99 of CBE. 3. Bach, J.S. : Cantatas 188 for SATB Soli (23:46), 190 for ATB Soli (17:58 ), 191 for ST Soli (16:40), 192 for SB Soli (14:49)--Rilling, cond., Bach-Collegium Stuttgart in all except 188, Wurttermburg Chamber Orch in 188, Gachinger Kantorei in all. hanssler CD, Vol. 57 of CBE. 4. Boyce, Wm (1711-1779): David's Lamentation over Saul and Jonathan (Dublin vers., 1744)(48:17), Ode on St. Cecelia's Day "The Charms of Harmony's Display" (23:06), David's Lamentation: 2 arias and a recitative between from the 1736 London vers.) --The Hanover Band, Choir of New College, Oxford, Graham Lea-Cox, cond., Patrick Burrowed, boy soprano, William Purefoy, alto, Andrew Watts, countertenor, Richard Edgar-Wilson, tenor, Michael George, bass-baritone--MHS CD, lic fro ASV. Recorded May and June, 1999. 5. Four pieces for violin and piano. Alfred Dubois, violin, Marcel Maas, piano. Beethoven: Violin Sonata 7 in C Minor, Op. 30 #2 (24:15) |Franck: Violin Sonata in A (28:04) |Debussy: Violin Sonata in G Minor (11:14) |Vogler, (Abbe) Georg Joseph (1749--1814): Aria Chasse, and Minuetto (4:12)--Biddulf CD, lic from Columbia. Franck recorded 1931, the others in 1936. What can I say? The Bach Sonatas are wonderful performances of material that does not really impress me that much. All of the Cantatas are true masterpices magnificently performed. What used to be known as Cantata 189 has been determined to have been composed by Melchior Hoffmann, and has therefore, not been included in the CBE project. The Boyce is wonderful, especially the Ode for St. Cecelia's Day. All of the above are fairly modern recordings. The last is not. The Dubois/Maas recording has a lot of hiss in it, but the recording itself is remarkably forward and full bodied, not at all what you would call muffled. To the extent that there is distortion at all, it is a little bit too closely miked, harsh, and steely, but overall, these are lively, spirited performances by one of the three premiere violin/piano duos of the 1930's. Last edited by RebLem on Sat Aug 02, 2008 11:40 am, edited 1 time in total. Sets the toes of an open-minded listener vigorously a-tapping. Fanny M. was an incredible talent wasted. She is even more gifted than her more famous brother. One can only speculate how the entire course of 19th century music might have differed if she were permitted to fully develop her compositional talents. Her music needs to be played much more than it is. I have no higher praise. I will take this to my desert island in preference to any of Schubert or Mozart's chamber music. Such charm, such joy, such humanity and wisdom! Sator wrote: Fanny M. was an incredible talent wasted. She is even more gifted than her more famous brother. Really? 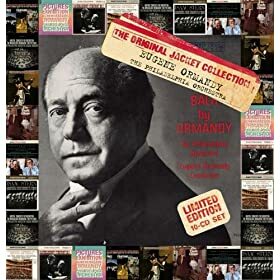 We have music that she has written which clearly demonstrates a greater gift than that in evidence in the Octet, the E Minor Violin Concerto, the Overture to A Midsummer Night's Dream? I did not know this! The Trio Sonaas are among my favourite JSB organ works. I cannot say whether this is because they were among the first I ever heard, aged about 14. Kay Johansen is a wonderful organist, and his is my favourite recording of the Trio Sonatas. My first purchase of Bach Cantatas was a large blue Archiv box containing 12 LPs of cantatas after Trinity Sunday conducted by Karl Richter. I quickly discovered that Richter wasn't really to my taste, but on one side I was surprised (and delighted) to find BWV 189 Meine Seele rühmt und preist, not mentioned in the booklet or on the label. It was on the same side as BWV 55 Ich armer Mensch, ich Sündenknecht, a tenor solo cantata with Ernst Haefliger sounding glorious in the late 50s (I like the earlier Richter recordings much better than the later ones). BWV 89 is a tenor solo cantata as well and the sound quality was about the same, so it's probably Ernst Haefliger as well. It took a while (pre-internet) to track down what the bonus cantata was, so it was a revelation to discover that there were other good cantata composers besides Bach (in fact the attribution is not entirely certain (reference)) so it still just might be by Bach!). Presumably it was recorded before scholarship gave it the thumbs down and they took it off the documentation but forgot to cut a new master for the LP! That started me on some very rewarding excursions into the non-Bach German Cantata, Buxtehude and Telemann being perhaps the most rewarding, but Bruhns, Tunder and others are good too. And of course one comes back to JSB with deeper appreciation! The cpo label have a series of Apocryphal Bach Cantatas: I must try to get my hands on a few! lismahago wrote: The cpo label have a series of Apocryphal Bach Cantatas: I must try to get my hands on a few! If one is to do recordings on the Bach tangential byways, I would much prefer something other than this. We have all heard that Bach was often inspired by the folk and popular music of his day, and that he lifted tunes from them for both his sacred and secular works. I really wish someone would fund some scholarly research into this and then a series of recordings of said popular music, with information on the Bach connections in the liner notes. Fanny was never allowed to write large scale works like this to compete with her brother. However, compare the two siblings' piano music and you sense a greater artistic maturity and consistency in Fanny's music. So if you wish to dismiss my admiration for Fanny as mere speculation because in the end Felix did leave a legacy of more substantial works, then do as you wish and dismiss Fanny as much as you wish. I will be unable to counter your argument. This isn't a matter of my "dismissing" your admiration for Fanny, to which you are entirely welcome. This is a matter of your dismissing the cultural worth of masterworks which her brother wrote, which have been a lasting part of the repertory. Even at this point in history, with the ideology-driven exhumation of any existing scores which were once written by women, Fanny's music is a niche interest; it has not earned its place in the repertory, which Felix's has. Generally, you're making this problematic claim ("Fanny was more gifted than Felix") by front-loading the issue with decisions which support your POV. It's one thing to wish that things had been otherwise, that there might have been more or less equal opportunities for musically talented women to pursue their Muse. It's entirely another to take that wish, and assert that someone who has been dead for centuries was "really" more talented. That is balderdash; it is fond science-fiction. The facts are — however uneven you or I might or might not find Mendelssohn's oeuvre — that the best of that work is surpassing excellent, and that (however we might regret that opportunities were not there for her — and, BTW, I am a composer, and there aren't many opportunities open to me, so I am alive to Fanny's plight, but I don't think she gets special 'handicapping' for the work of hers which she did write) his sister's work does not match that level of excellence. Producing even-but-mediocre work, is not greatness; evenness of output is no virtue in mediocrity. And whatever the dips may be in Felix's output . . . I think it was Billy Wilder who said, You're as good as the best thing you've done. By that yardstick, in the world as it is (rather than in the speculative world we might have wished for Fanny) Felix is the far more talented sibling. Admire Fanny all you like. But if you poo-poo the great music her brother actually wrote, it gauges your part in the conversation, for it calls into serious question your musical taste. Hang on there. An overture is nearly always composed as part of a large scale work. Also the Octet was written at a young age when Felix was encouraged to write music of this kind for private performance. Fanny did not get quite as much encouragement to develop her talents. Also where did I ever once denigrate Felix? Where did you get that from? I agree that Felix is the greater composer by virtue of his published works. Talent counts for absolutely nothing. Hard work put in to sketch, plan, write, and rewrite a substantial composition to the point that it is worthy of widespread public performance and publication is everything. Nonetheless, I will still marvel at the talent displayed by Fanny. Her maturity, deeper poetic introspection and sense of form are remarkable. But it is, at the end of the day, mere talent. Sator wrote: Hang on there. An overture is nearly always composed as part of a large scale work. Not the Overture to A Midsummer Night's Dream, though. Mendelssohn composed the rest of the incidental music much later. Nice pieces from the master of Italian harpsichord between Frescobaldi and Domenico Scarlatti. One of the most strikingly revolutionary works of the 20th century. Diverse, rich & complex. Amazingly inventive & innovative. Stockhausen in his late-20s redefined orchestral music with this work; both sonically & conceptually. In a book of interviews published in 1959, Robert Craft asks Igor Stravinsky "What piece of new music has most interested you in the last year?" and the octogenarian master-orchestrator replies "Stockhausen's Gruppen"; he goes on to especially praise the sound of the orchestra and the rhythmic invention. Written for 109 musicians, and having prominent parts for piano & electric guitar, and calling for no less than 12 percussionists [...] the most obvious novelty is that the orchestra is divided into 3 spatially separated groups - 1 to the left of the audience, 1 in front and 1 to the right - each with it's own conductor. The primary reason for the 3 conductors is that, for much of the work, the 3 orchestral groups play simultaneously at different tempi. I generally use this thread to report on my weekly listening to things I have never heard before, or to reissues of things I have in other formats. I use the other forum for reporting, occasionally, on things I have listened to before and am listening to again. 1. Bach, J.S. : Congratualtory and Homage Cantatas, S. 30a, 36b, 36c, 134a, and 173a--Helmuth Rilling, cond., Bach-Collegium, Stuttgart, Gachinger Kantorei, 7 soloists. (2:01:14) hanssler 2CD set, Vol. 139 of CBE. Recorded 2000. 2. Pleyel, Ignace (1757-1831): Symphony in C Major, Op. 66 (B.154) (23:10) |Symphony in G Major, Op. 68 (B.156) (24:19) |Symphony in D Minor (B.147) (22:45)--London Mozart Players, Matthias Bamert, cond. MHS CD, reissue of CHANDOS disc. Rec. 1995 This CD is part of the "Contemporaries of Mozart" series. 3. Beethoven: Violin Concerto in D Major, Op. 61 (39:08 ) |Brahms: Violin Concerto in D, Op. 77 (36:11)--Nathan Milstein, violin, William Steinberg, cond., Pittsburg Symphony Orch. EMI GROC CD. Recorded 1953-1955. 4. Bartok: Chamber Works, Vol 1, a 3 CD compilation, part of a 6 CD set of the complete Bartok chamber music from Hungaroton. CD1---Andante (Albumblatt to Adila Aranyi) (3:46) |Rhapsody (Folkdances) 1 for violin and piano, Sz. 86 (10:02) |Rhapsody (Folkdances) 2 for violin and piano, Sz. 89 (10:58 ) |Rhapsody (Folkdances) 1 for cello and piano, Sz. 88 (10:11) |Hungarian Folksongs for violin and piano, Sz. 42 (9:41) }Sonata in E Minor for violin and piano, DD 72 (28:35). CD2---Sonata 1 for violin and piano, Op. 21, Sz. 75 (32:12) |Sonata 2 for violin and piano, Sz. 76 (20:15) |Sonata for solo violin, Sz. 117 (23:21). CD3---44 Duos for two violins, Sz. 98 (49:24) |Sonata for two pianos and percussion, Sz. 110 (24:57)--numerous artists--violinists: Gyorgy Pauk, Zoltan Szekely, Mihaly Szucs, Vilmos Szabadi, Gidon Kremer, Denes Kovacs, and Wanda Wilkomirska. Cellist: Laszlo Mezo. Percussionists: Ferenc Petz, Jozsef Marton. Pianists: Peter Frankl, Isabel Moore, Erzsebet Tusa, Marta Gulyas, Iury Smirnov, Dezso Ranki, and Zoltan Kocsis. The Bach pieces were all written to order pieces to celebrate various events in the lives of aristocrats and cultivated bourgeois folk. The music from all of them was later used, with slight variations, in sacred cantatas. This is another issue which shares with the vocal music in the CBE a generally high standard of performance and recording quality. The Pleyel disc consists entirely of premiere recordings. They are suprisingly interesting pieces; Mozart liked much of Pleyel's work, recommending them to his father's attention, and he was not a man who was generous in his praise of many other composers. Welll worth acquiring and listening to, with the typically high standard of performance and recording we have come to expect from Chandos. The Milstein/Steinberg/Pittsburg collaboration is a stunning production in glorious full-ranging monaural sound. 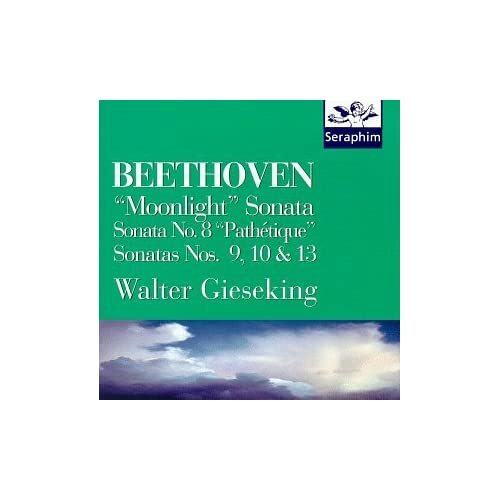 While I still prefer Grumiaux/Galleira in the Beethoven and Szeryng/Monteux in the Brahms, these are magnificent performances, lyrical and subtle, with soloist and conductor in perfect sync with one another, working with a magnificently pliant and responsive orchestra. I reported on Volume 2, the other 3 CD set in the Hungaroton set of the complete Bartok chamber music back in February. Thse are, of course, works of variable quality, but achieving a generally very high standard. The middle movement of the Sonata for two pianos and percussion, from 1937, is startlingly predictive of the Shostakovich Piano Quintet. 1. Bach, J.S. : Six Partitas, S. 825-830 (2:29:04)--Trevor Pinnock, harpsichord. 2 CD hanssler set, Vol. 115 of CBE. 2. Gyrowetz, Adalbert (1763-1850): Symphony in E Flat Major, Op. 6 #2 (17:52) |Symphony in F Major, Op. 6 #3 (20:14) |Symphony in D Major, Op. 12 #1 (25:48 )--Matthias Bamert, cond. London Mozart Players. MHS CD, licensed from Chandos. Recorded 4/1998. All three symphonies are world premiere recordings and are part of the Chandos "Contemporaries of Mozart" series. 3. Rosetti, Antonio (c. 1750-1792): Horn Concerto in E Flat Major, Murray C49 (19:27) |Horn Concerto in D Minor, Murray C38 |Horn Concerto in E Major, Murray C51 }Horn Concerto in F Major, Murray C53--Zdenek Divoky, French horn, Ondrej Kukal, cond. Czech Chamber Players--MHS CD, licensed from hanssler, recorded 1997. 4. Grieg, Edvard (1843-1907): Lyric Pieces (6) Book VIII, Op. 65 (23:06) |Lyric Pieces (6) Book IX, Op. 68 (15:50) |Lyric Pieces (7) Book X, Op. 71 (22:27)--Eva Knardahl, piano. BIS CD, Vol. 3 of Complete Grieg Solo Piano Music, recorded 1977. 5. Grieg, Edvard: Four Piano Pieces, Op. 1 (13:42) |6 Poetic Tone Pictures, Op. 3 (10:52) |4 Humoresques, Op. 6 |Sonata for Piano Solo, Op. 7 (20:02)--Eva Knardahl, piano. BIS CD, Vol. 4 of Complete Grieg Solo Piano Music, recorded 1978. This CD contains 18 tracks. After that there is another listing on the back face and in the liner notes booklet for a 7:20 work. without a track number, called Funeral March: Rikard Nordraak in memoriam, 1866, for the death of Grieg's best friend. There is also a paragraph on it in the liner notes themselves. However, it is not heard on the CD. Weird. The Bach Partitias are wonderful, as you might expect from Trevor Pinnock. The hannssler series is generally pretty conservative when it comes to non-organ keyboard music; they are seldom HIP, much less OIP recordings. This is one of the exceptions, and a delightfully lyrical one it is. As is usual with the solo keyboard works in the series, it is recorded at a higher level than most of the other works. You may find it desirable to turn down the volume level. The Gyrowetz and Rosetti works are just good enough to sustain interest. Not Haydn or Mozart, but are well worth listening to. The Grieg works are up to BIS's usually high performance and sound quality standard. The piano is a Bosendorfer 275 and has an incredibly deep, full bodied sound. Like the Bach above, it is recorded at a rather high level; you might want to turn down the volume level. Last edited by RebLem on Mon Aug 11, 2008 8:07 am, edited 1 time in total. Got this one on the cheap. Working my way thru this great-sounding 10-CD set which amazon is selling as a 256 kbps mp3 download for $10. A great performance - stunning horns at the summit - and brilliant sound. Thrilling. This, and the Karajan are the Alpensinfonies I like best. Last edited by Febnyc on Tue Sep 09, 2008 7:17 pm, edited 1 time in total. Played the first CD containing the 2 piano concertos and the Piano Quintet. Fine, very very fine. Great sound, very good refined performances. What an excellent introduction to Shostakovich this would be if one was just beginning to get into his music. There are a number of these EMI Triples now. Just go to arkivmusic and search on "Triples". slofstra wrote: Played the first CD containing the 2 piano concertos and the Piano Quintet. I'm not really thinking THAT hard. Note use of caps to reflect manner of speaking. I suppose I should use more smileys so you can tell my feigned lunacy from the actual kind. But I very much enjoyed the answer so I AM glad I asked. (Note caps again). Actually I tend to use the italics to do the same thing. Still, I must admit my brain sometimes begins to thrash when it's time to choose the appropriate thread for posting my latest listening experience. This can be as difficult as deciding what CD to play next. Kirkby/ Gothic Voices/ Hildegard et al. I have decided to stop requiring myself to play a CD in its entirety, and instead spread out the experience over more nights. slofstra wrote: I have decided to stop requiring myself to play a CD in its entirety, and instead spread out the experience over more nights. That is perfectly valid, too. Yes, the same guy who is famous (or, as you prefer, infamous) for his completing Puccini's Turandot. These two symphonies are powerful and exciting. The orchestration is dense and, at times, shattering. The slow movements are reminiscent of his opera music - and the second symphony is a mite more "modern" than the first - but neither is discordant in the slightest. Two unknown and very entertaining works. Vladimir Cosma' Concerto for Euphonium. Somehow it works. An instrument that is not known for sounding lyrical and passionate comes off as extremely attractive.